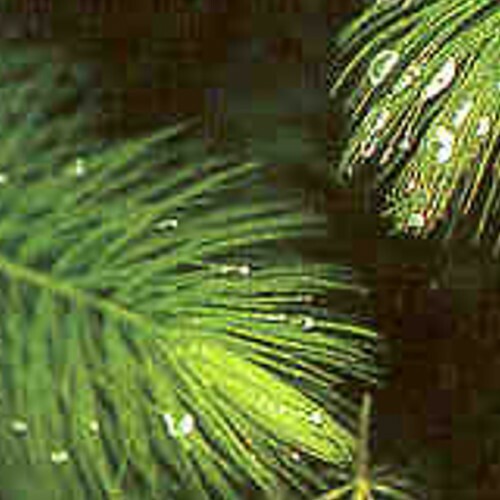 Oxygenater: One bunch per 75 gallons of water helps control algae growth. Excellent source of underwater oxygen. 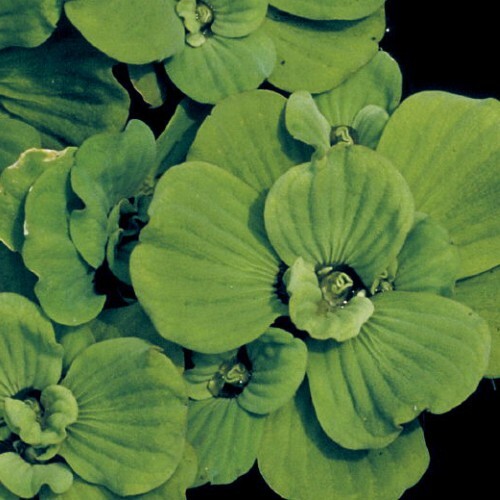 Marginal/ Bog Plants: Attractive, green arrowhead shaped leaves. White blooms in the summer. Grows from 12 – 48 inches tall. Tolerates sun to part shade. 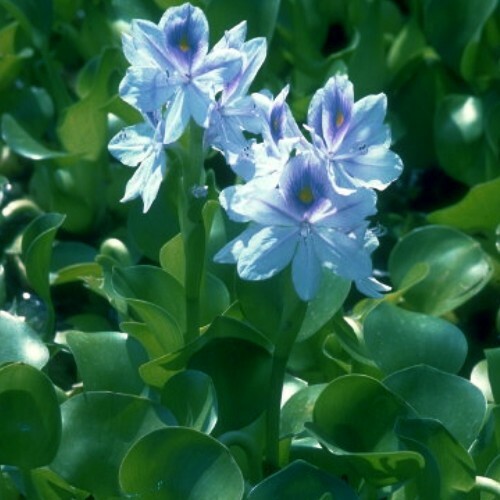 Marginal/ Bog Plant: Mixed blue flowers in June with grass like foliage. 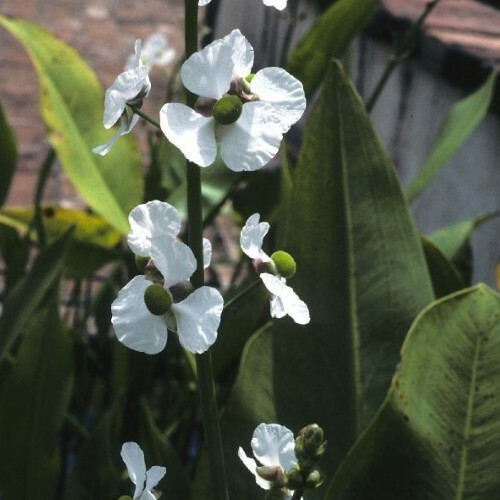 Grows from 24 –30 inches tall and will tolerate full sun to part shade. Other iris that are water-tolerant can be white or yellow. 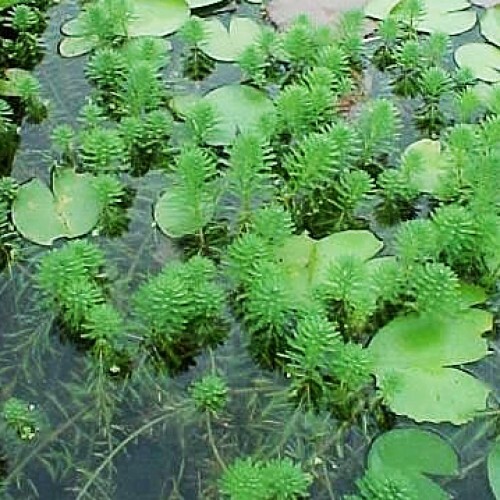 Marginal/Bog Plant: These plants are found along the edges of a pond where the roots are attached to the muddy bottom and portions of their stems are above the water. 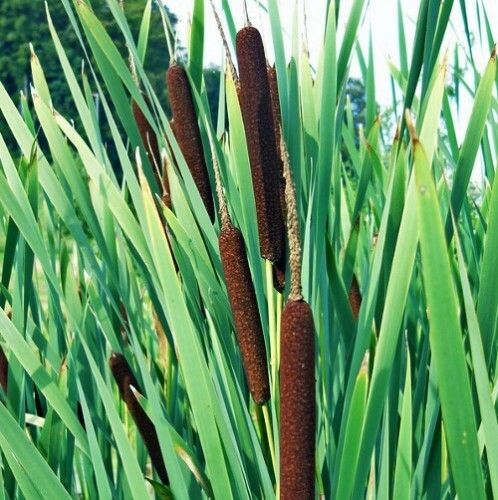 Common examples include cattails, and iris. 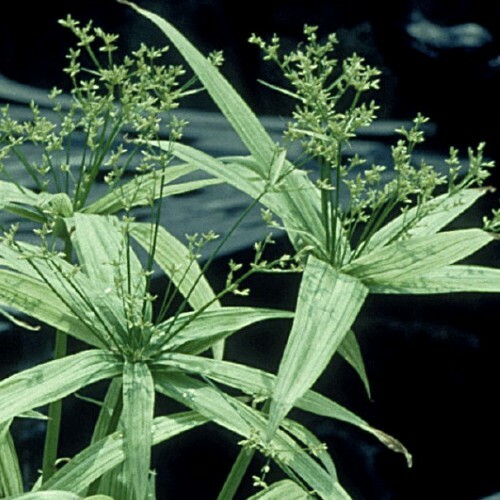 Marginal/ Bog Plant: Green grass like foliage with "starburst like" flowerheads that turn brown in the fall. Grows 12 – 18 inches tall and tolerates sun to part shade. Knollwood does not sell fish for ponds, but we do recommend them! Besides being delightful to watch, they complete the ecosystem-balance of your pond and help control unwanted plant and insect growth. We do carry fish food and fish-safe pond treatments for your convenience. 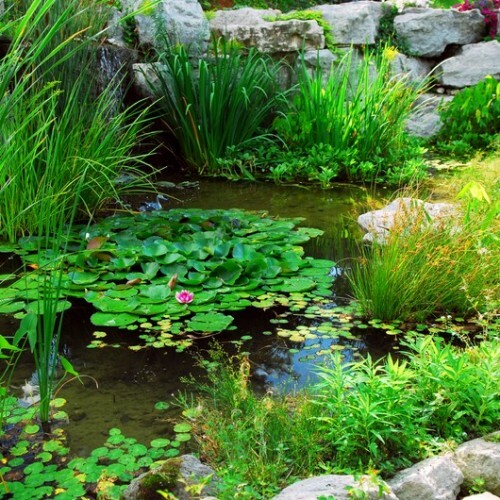 The general cause of algae in ponds is excess nutrients from either the overstocking or overfeeding of fish, overfertilization of plants, or too few plants in the pond. 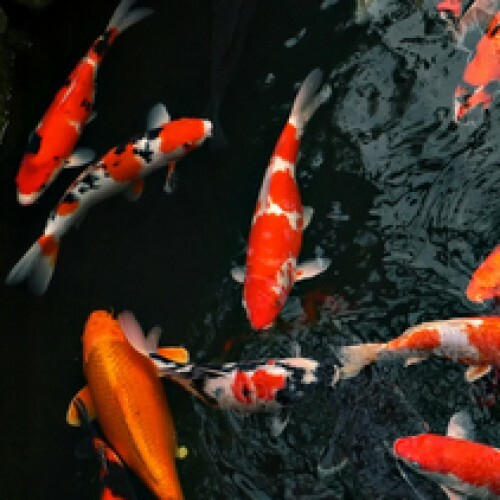 A general rule for stocking fishponds is to use 4-6 goldfish and one water lily for every square yard of water surface, or one inch of fish for every 3 gallons. Oxygenator: One bunch per 75 gallons of water helps control algae growth. Excellent source of underwater oxygen. 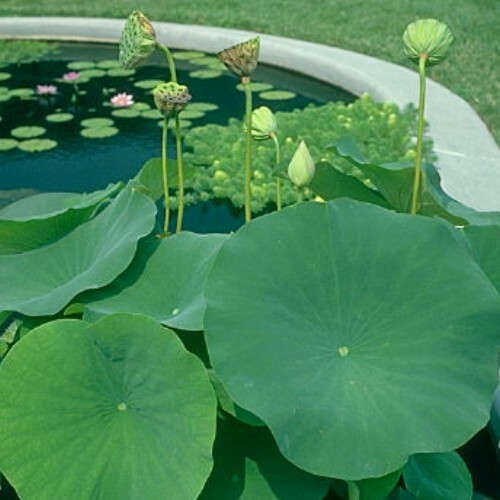 Exotic water lotus are available in summer, and they must be overwintered dormant indoors. The huge leaves rising above the water, beautiful blooms, and the unique pods add to the drama. They prefer to be in their own tub, with water 4-6" over the soil. Oxygenator: Unusual and attractive feathery foliage with a fluffy texture and light green color floats on the surface and hangs over edges. Good source of underwater oxygen. 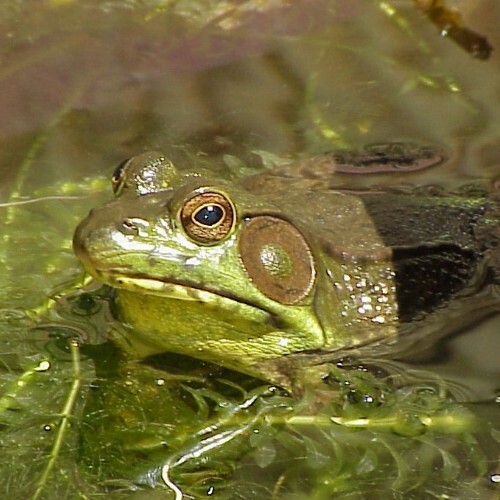 In all but the smallest ponds, frogs and tadpoles should not need any additional food. If sufficiant plants are not available, very small amounts of steamed lettuce may be given. Provide places for them to crouch slightly submerged when fully grown. Water must be clean pond/creek water: tapwater must stand 5-7 days before putting your tadpole in, or adding more water to the pond. Floating: Popular floater with trailing roots, balloon like petioles and spikes of lavender flowers when given enough sun. Very prolific; multiplies and can be easily divided. Floating: Provides cooling cover for the fish below. Very prolific; multiplies and can be easily divided. Velvety texture and light green color. 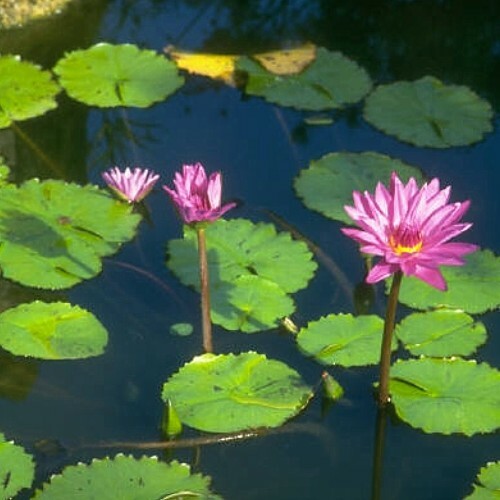 The classic garden pond flower: water lilies are available in hardy varieties that can be over-wintered in your pond, and tropicals that can be stored indoors. They provide excellent, cooling shade for fish and are not difficult to maintain. 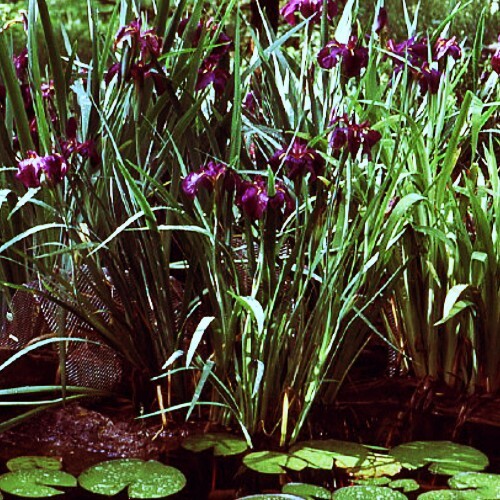 Hardy water lilies will grow well at water depths of 12-18 inches over the top of the pot.